There's nothing quite like a steam to bring oxygenated blood to the skin's surface. You can spend $100 or more for an hour-long spa facial that includes a steam or you can place your head over a teapot and do it yourself at home. Teapot steams are simple, natural, and super inexpensive. 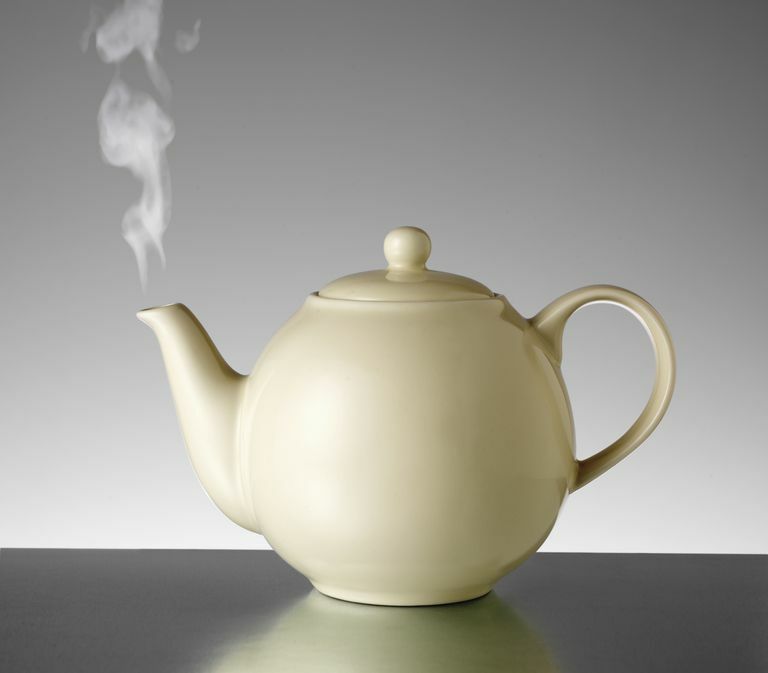 Here's the perfect recipe for a teapot steam. Try it out and see how amazing your skin feels. Your favorite herb or oil. You can use a lavender, sprig of rosemary, rose petals, sage, peppermint, apple cider vinegar, crushed fennel seeds, rose oil, lavender oil, eucalyptus oil, neroli oil, frankincense oil. You can also skip the herb or oil if you don't have any around. I highly recommend eucalyptus when you're sick or just stuffy and lavender for everyday use. While some women like to steam their face first to loosen any clogged pores, some prefer to cleanse their face first. Use a cleanser that's formulated for your skin type. Boil 4 cups of distilled water in the teapot. Remove teapot from the stove and add herbs. Let steep for 10 minutes. Put the teapot on a table that's low enough so you can bend over the pot giving yourself at least 10 inches of space between your bowed head and the teapot. Place a large towel over your head and the pot, creating a tent. Close eyes and inhale the steam deeply for 10 minutes. Move face closer or further from teapot depending on your steam sensitivity. Do try to keep your face at least 10 inches from the top of the pot. You don't want the steam to burn your face. The steam does not burn your face, but don't put your face right to it. Do a series of three steams with a break in between. This loosens oil and dirt for the next step. Follow the steam with a cornmeal scrub to exfoliate. Mix a paste of finely ground cornmeal and water, spreads it over her face and massages it in as you would a store-bought scrub. Rinse with warm water. If you don't have cornmeal on hand, brown sugar mixed with a bit of coconut or almond oil also works. You can also use your own store-bought scrub. The final step is an egg white and yogurt mask. First, apply moisturizer around the eyes and mouth. Whip one egg with plain organic yogurt and apply to face. Let it dry for a few minutes. Rinse off with warm water and a splash of cold water to close pores.